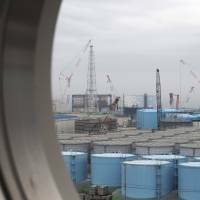 As of the end of March, Tokyo Electric Power Company Holdings Inc. had paid more than ¥8 trillion in compensation (baishōkin) related to the Fukushima No. 1 reactor meltdowns of March 2011. About half of this money has gone to people living near the crippled reactors for “mental anguish” and the other half has gone to businesses whose livelihoods were destroyed or otherwise diminished by the disaster. 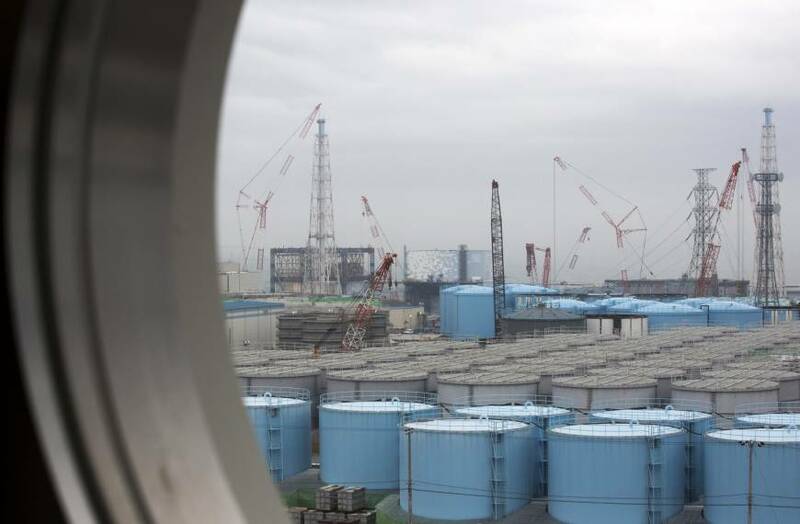 The payouts officially ended at the end of March, but Tepco is by no means out of the woods. There are numerous lawsuits against the company demanding additional compensation, and the central government has issued ¥13.5 trillion in bonds for interest-free loans to Tepco that are supposed to cover a wide range of expenses related to effects on residents and cleanup activities. Tepco is supposed to pay back this money by 2051, and until then it’s estimated that the government will have to pay bondholders more than ¥218 billion in interest — that is, if interest rates stay the same. This money, of course, will be covered by taxpayers. In the years since Tepco started paying the compensation in Oct. 2011, a large group of people have therefore become dependent on it for their survival, and there is some concern regarding what this dependency will mean in the future. As Toshiro Kitamura, a former director of Japan Atomic Power Co., told the Asahi Shimbun in an interview published on March 7, the people who were forced to move out of their homes, as well as many who moved voluntarily, were compensated for mental anguish (seishin songai) and loss of property, but the decision to pay compensation as well as the amounts paid were decided unilaterally by other people, namely Tepco and the government. People’s emotional pain, he said, was “summarized” and all treated in the same way with fixed cash payments. No effort was made to distinguish one victim’s specific situation from another’s. If someone objected to the amount through legal channels, they were likely to get more. Now these payments, or, at least, the first phase of these payments, are finished, but the pain, he says, remains. He should know. He was among those forced to evacuate. The Asahi interviewer brings up the notion that the compensation actually made matters worse. People lost their living situations, which were then replaced with money. 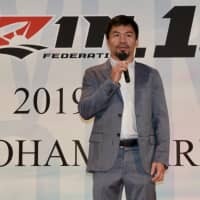 Kitamura says that communities have been destroyed twice, once by the accident and again by the compensation, which has sown “jealousy and discontent,” giving rise to social divisions, and not just in the affected areas. Evacuees face discrimination wherever they live due mainly to the well-publicized money they receive. 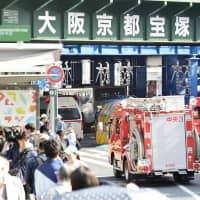 He mentions that the seven years of payments for mental anguish amounted to about ¥8.5 million per person, but Tepco has also determined that about 25,000 people from some areas that remain off-limits will get an additional one-time payment of ¥7 million each. However, if the address of your former dwelling is outside this arbitrarily delineated area, you get nothing extra, which means, theoretically, that you could live across the street from someone who received this bonus. Tepco loses nothing, essentially, since the government is loaning them money for free and the utility has added a special surcharge to electricity bills to cover cleanup and other expenses. 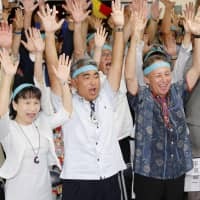 Everyone knows Tepco is paying for the accident — about ¥10.2 trillion altogether so far — and will be paying for it for years to come, but people’s resentment is just as likely aimed at those who receive compensation. There are no rules as to how these people can spend their money, which is not taxed, and so rumors spread about evacuees gambling or taking extravagant trips, and the resentment grows. The payment for mental anguish was a very round ¥100,000 a month per person, so a family of five received ¥6 million a year. However, they could also receive payments to cover loss of property or employment, as well as reimbursement for things like transportation and housing if they rent, so the money could end up being much more. In many cases, compensation ended when evacuation orders were lifted, for some districts as early as 2014, and in principle payments would stop for evacuees from these areas. But if they decided not to move back, they could probably still receive money. 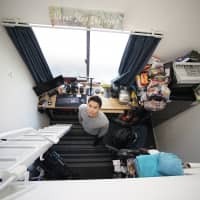 Rent reimbursements were also supposed to stop in March, but the government has asked Tepco to continue providing funds for rent for at least another year. Also, if the evacuees had a business affected by the accident, like a farm, they would get extra money as well. There is even a form of compensation paid to current agricultural and forestry producers — who by definition are not evacuees — whose livelihoods have been damaged by “rumors” of radioactivity, meaning they can’t sell their goods even though they are not contaminated as far as the authorities are concerned. According to the March 4 online edition of the Kahoku Shimpo, a Miyagi Prefecture newspaper, the return rate for residents of nine different areas whose evacuation orders were lifted a year ago varies widely, from a low of 3.3 percent to a high of 80.1 percent. The average return rate for the nine areas is only 15.3 percent. According to NHK, 80 percent of the estimated 39,000 evacuees who moved outside of Fukushima Prefecture have not returned to their original areas of residence as of March. Some local governments are spending money to lure new residents, since they don’t expect a lot of the old ones to come back. Tomioka offers new families with children ¥300,000, plus ¥180,000 per child per year for the first three years. The reason former residents aren’t coming back is that, while the evacuation order was lifted and the area is considered safe, infrastructure is not back up to speed. Also, many of the evacuees are old. Voluntary evacuees also received payments to cover rents in the places they moved to. For mental anguish they received a one-time payment of ¥120,000 (¥720,000 for persons under 19 and pregnant women). These payments stopped a year ago. However, whenever evacuees sue Tepco for more compensation, they usually win. Last month, the Iwaki branch of the Fukushima District Court told Tepco to pay ¥610 million to 213 former residents of two Fukushima towns. (They had asked for ¥13 billion.) A Tokyo District Court in February awarded ¥1.1 billion to 318 people from Minamisoma, or about ¥3.2 million per plaintiff. Probably the trickiest form of financial redress is for real estate. People who had to move or decided to move negotiate with Tepco to buy their old property at market value, but land in some zones is practically worthless, while the value of land in areas being redeveloped has gone way up in price due to demand. So as the initial compensation period comes to a close for the time being, it’s important, as Kitamura suggests in the Asahi interview, to note that matters have not returned to the way they were at all, and they never will. That means the people affected will still need and demand and expect money from the government and Tepco. These people believe that their hometowns have been changed, perhaps ruined, forever, even those who decided to return and try to pick up where they left off.